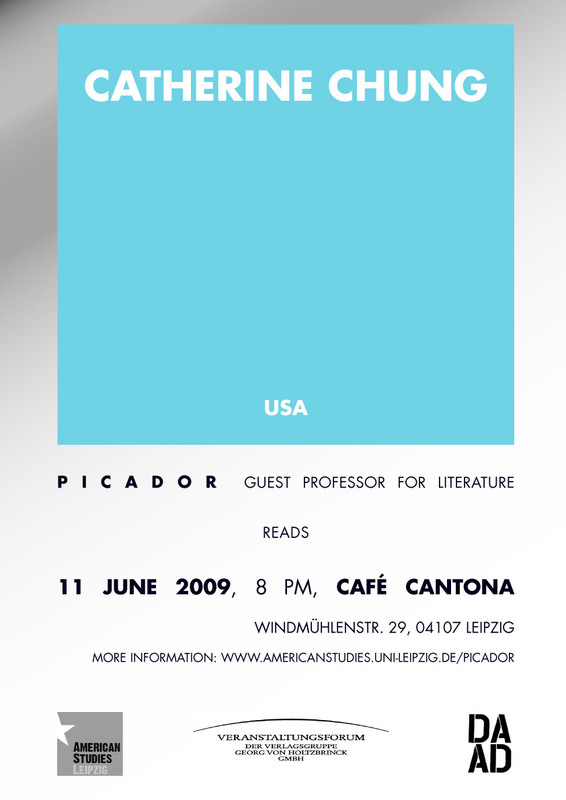 American Studies Leipzig requests the pleasure of your company at a public reading by Picador Guest Professor Catherine Chung on 11 June, 8pm, at the Cafe Cantona, Leipzig. To see the final exam grades for the BA Lehramts Module LC1, please check the attached pdf-file. The grades are organized by matrikel numbers. Please note that all grades are pending approval by the Prüfungsamt. Different events organized by the U.S. Consulate and others will focus on American letters and culture during the Leipzig Book Fair. There will be a stand at the book fair hosted by the Consulate, for example, and prominent authors taking part in this year's rendition of Krautgarden. For details, please check the flyers below. As part of their BA education, students of the class of 2006 have completed two different projects: A wiki-homepage on American Studies Leipzig and a conference on job opportunities for students of American studies.